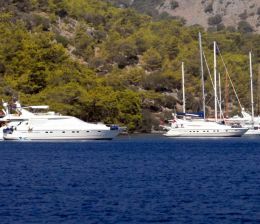 Our gulets for sale in Gocek portfolio is full of options that we make a preliminary inspections for gulets that we upload to our portfolio in order to make sure what we are offering in the world wide market and our most important issue is protect our clients’ interests. When thinking of getting a new gulets for sale, you need to carry out a sea trial with such gulet before starting the buying process . This is what we usually advise our clients to do in order not to be deceived, that our professional captains accompany our clients to the marinas and boatyards to check the latest condition of the gulet for sale is in good conditions and deserves the money you are going to pour into such gulets. 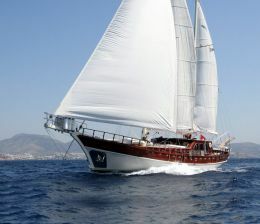 You need to have your gulets for sale lifted so that you or your appointed surveyor makes sure that her underwater hull condition is excellent because this is very important and you would not want to mess with a rotten hull which would affect the condition of the gulet in the nearest future. You need to check for the sailing gears s condition and other stuff on board. You can consult with our agents who are professional captains serving our clients with utmost attention having their long time expertise at sea.